Wind energy is a renewable source of energy and offers green solution to ever increasing dependence on fossil fuels. Though it is not used worldwide on a larger scale but still in some countries it currently represents 10% of electric supply. There are many issues related to wind turbines impact and they all contribute towards the disadvantages of wind turbines. In order to battle with the global warming induced climate change and reduce our reliance on fossil fuels the dependence on wind turbines is going to increase in the years ahead and sight of wind turbines will become more common occurrence. 1. Noise Pollution: A major disadvantage of using wind turbines, is the noise pollution that it creates. Though it is used on a larger scale in some countries and are built in the large farm lands because nobody wants their home close to the wind turbines. Though technology is being developed to increase its efficiency yet it is not able to reduce the noise. Noise pollution also depends on the wind speed, the more the wind speed, the greater the impact of noise pollution. 2. Affects Wildlife: Few studies have been done to determine the affect of wind turbines on wildlife and the evidence is clear that they pose threat to the lives of birds and bats. The presence of large turbines causes birds to avoid that site. In some areas birds have been found dead where large turbines are located. The installation of such large structures in wild areas after clearing of trees has a negative affect and may result in loss, degradation and fragmentation of habitat. 3. House Price Reduction: It has been noticed that the prices of houses near the wind farm development are reduced sustainably. The reason being that nobody wants to live near the wind farms having 300 foot blades. It also have a huge visual impact. Noise pollution accompanied by the visual impact has forced the people living in those areas to move outside the city. 4. 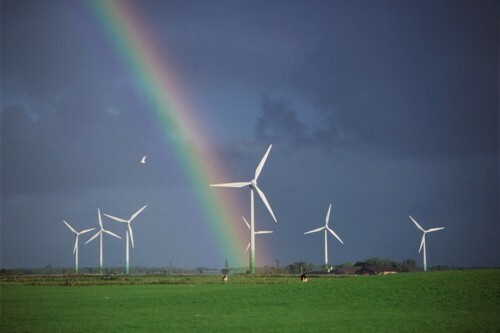 Visual Impact: Though many people believe that wind turbines actually look nice but majority of them disagree. Surveys of public opinion show that most people who live near wind developments find them less intrusive once they are operating than they might have feared beforehand. Wind farm developers recognize that visual impact can be a concern for neighboring communities. Most countries with a wind power industry have established rules which exclude certain areas from development, such as national parks or nature reserves. 5. Impact Radar For Weather Service: Some experts believe that huge wind turbines in a large wind farm development having 300 foot blades are impacting the weather services by sending the signals back to the service station indicating the disturbance in the air. It may also affect the meteorological ability to detect storms and high tides. So, these are the impacts of Wind turbines on the surrounding environment. With the advancement of new technologies, we expect that these impacts would reduce considerably in the coming years and wind energy will be used as the most used form of renewable energy. What is a Windmill and How Does a Windmill Work?